I absolutely, utterly, totally and categorically hate anything above a breeze. Today much of the UK has been battered by gale-force gusts of wind, it still continues as I write and I can see the trees swaying from my window. People like me have returned home from work to find limbs snapped off trees, shrubs shaken to pieces and borders flattened from damaging gusts of wind. Despite being very sheltered, my garden hasn’t escaped either. 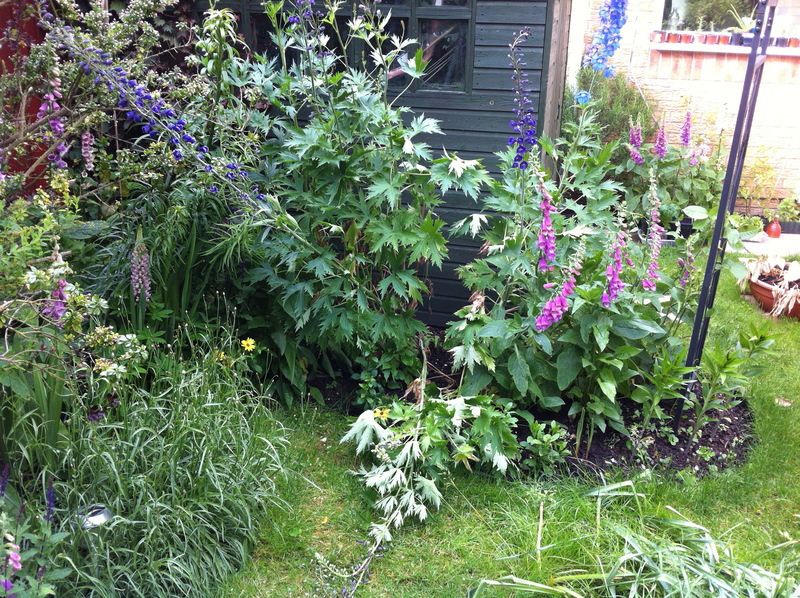 Delphiniums that were either in flower or just coming into flower to form a regimented row of blue spires now ruined. Perhaps this is a lesson to stake delphiniums and all other upright plants in the future, perhaps I would have come back to delphiniums snapped half way up the stem instead of at the base? Who knows. I read somewhere that wind is the most useless and unwanted of all weather. Sunshine is wanted for the warmth and growth, rain to keep plants watered, even frost and snow is useful to kill pests and diseases that might otherwise perpetuate but wind serves no purpose and after having seen what today’s weather has done to my border, I very much agree. I came across your blog, which is similar to mine, about my garden in New York, mostly. Let’s follow each other, OK?